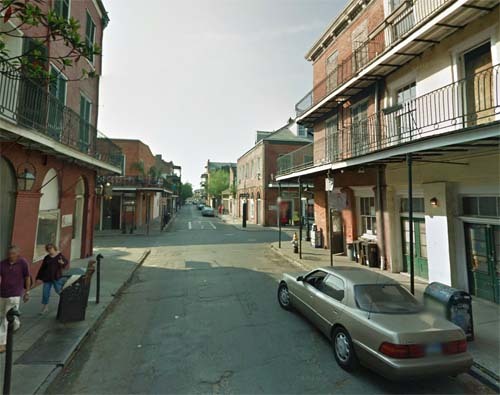 New Orleans (French: La Nouvelle-Orléans) is a major United States port and the largest city and metropolitan area in the state of Louisiana. The city is named after Orléans, a city located on the Loire River in Centre, France, and is well known for its distinct French Creole architecture, as well as its cross-cultural and multilingual heritage. 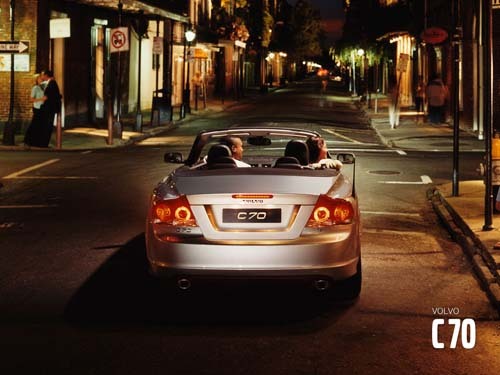 New Orleans is also famous for its cuisine, music (particularly as the birthplace of jazz), and its annual celebrations and festivals, most notably Mardi Gras. The city is often referred to as the “most unique” in America. 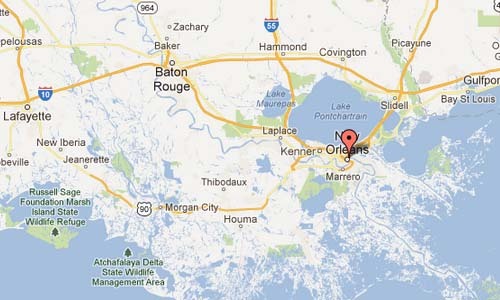 New Orleans is located in southeastern Louisiana, straddling the Mississippi River. The city and Orleans Parish (French: paroisse d’Orléans) are coterminous. The city and parish are bounded by the parishes of St. Tammany to the north, St. Bernard to the east, Plaquemines to the south and Jefferson to the south and west. Lake Pontchartrain, part of which is included in the city limits, lies to the north and Lake Borgne lies to the east. New Orleans has many major attractions, from the world-renowned French Quarter and Bourbon Street’s notorious nightlife to St. Charles Avenue (home of Tulane and Loyola Universities, the historic Pontchartrain Hotel, and many 19th century mansions), to Magazine Street, with its many boutique stores and antique shops. 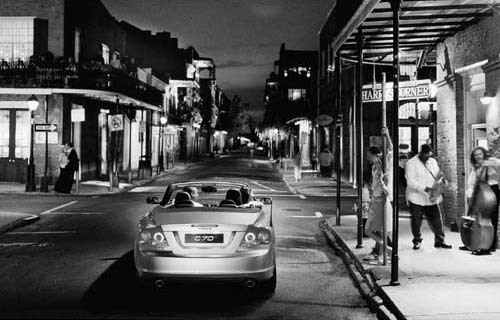 The French Quarter (known locally as “the Quarter” or Vieux Carré), which dates from the French and Spanish eras and is bounded by the Mississippi River, Rampart Street, Canal Street, and Esplanade Avenue, contains many popular hotels, bars, and nightclubs. Notable tourist attractions in the Quarter include Bourbon Street, Jackson Square, St. Louis Cathedral, the French Market (including Café du Monde, famous for café au lait and beignets) and Preservation Hall. To tour the port, one can ride the Natchez, an authentic steamboat with a calliope, which cruises the Mississippi the length of the city twice daily. Unlike most other places in The United States, and the world, New Orleans has become widely known for its element of elegant decay. The city’s many beautiful cemeteries and their distinct above-ground tombs are often attractions in themselves, the oldest and most famous of which, Saint Louis Cemetery, greatly resembles Père Lachaise Cemetery in Paris. More information at en.wikipedia.org and www.neworleansonline.com.